One tightly held ASX listed phosphate company is on the verge of holding a local supply monopoly for this key fertilizer ingredient in one of the world’s largest agricultural countries, Brazil. Agriculture plays a key role in Brazil’s economy, with 20% of its GDP in 2015 derived from agriculture, with exports now totalling US$175BN. The agricultural sector may be booming in Brazil, but some of the world’s leading fertilizer blenders in southern Brazil – where this company’s phosphate deposit is found – import 100% of their phosphate to manufacture fertilizer. There is literally zero local phosphate supply competition for this ASX stock, in a region that requires huge quantities of fertilizer for its bi-annual growing cycles. This fact alone means this company will be able to come in >US$50/t cheaper on logistics costs than any foreign competitors, because it will not have to pay for international shipping and import taxes. In fact, 100% of the output from the project is anticipated to be consumed within 400km of the company’s project. Beyond Brazil, with the global population accelerating past 7.4 billion people there are increasing demands being placed on the agricultural industry to meet requirements. The UN forecasts that the population of the planet will continue to increase over the coming century, a large part due to big growth in Africa. As the globe gets richer, people are consuming more calories – and with rising incomes, there are distinct changes in dietary consumption – so much so that grain output will have to increase by 50% and meat output by 200% to meet estimated global demand by 2050. This increasing consumption trend will likely place accelerated demands on the fertiliser industry, at a time where soil quality around the world is on the decline, requiring nutrients to be added to meet harvest demands and quality... And that all spells out the need for a lot more phosphate. 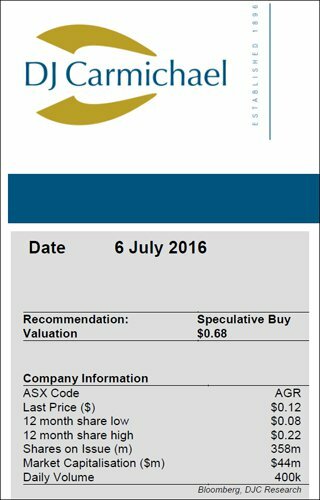 Currently, the agriculture sector is flying under the radar of retail investors, but it may be only a matter of time before agriculture stocks such as this ASX phosphate company start to gain significant market traction. Before we go too far, we should point out that this is a speculative mining stock we are talking about, and an investment in the company has no guarantee of being successful. Only invest what you can afford to lose – especially in the small cap end of the market. Famed investor Jim Rogers, who ran the Quantum fund along with fellow billionaire George Soros has seen the light with respect to future investment trends. For those unaware, during the 1970s Quantum’s portfolio gained 4200% and was one of the world’s first international funds. So what does Rogers see as the next big thing? Rogers believes that in the near future it will be farmers that are driving around in Lamborghinis, living the high life as the agriculture sector gets set for a boom. Today’s company is developing a major phosphate project located in Southern Brazil and hopes that Rogers’ projections are on the money. 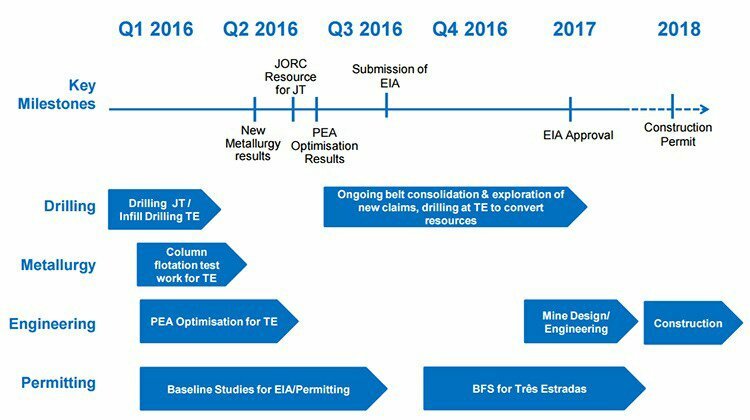 With a 74.7Mt JORC compliant phosphate resource, the company is focused on moving towards production as quickly as possible, and a BFS is due to kick off this quarter, based on positive exploration results verified by third party consultants. Management has engaged in discussions with local government over the past year who are keen to support the company’s efforts to produce phosphate locally as it is a key ingredient for the success of the agriculture sector. 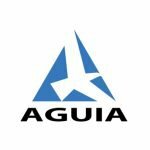 Aguia Resources (ASX:AGR) is a fertilizer company with its primary operation based in the agricultural mecca of the world, Brazil. 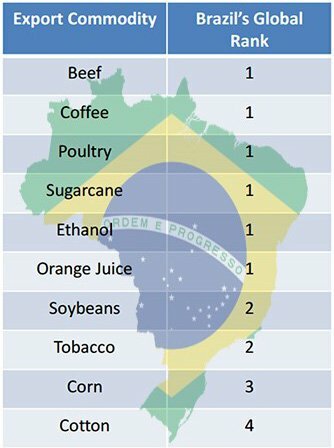 While Brazil exports US$175BN in agriculture, and is ranked number 1 in the world for exports of beef, poultry, and sugarcane, the country simply does not produce enough phosphate nationally to meet domestic demand, and has to import 65% of its phosphate from overseas. Enter AGR. 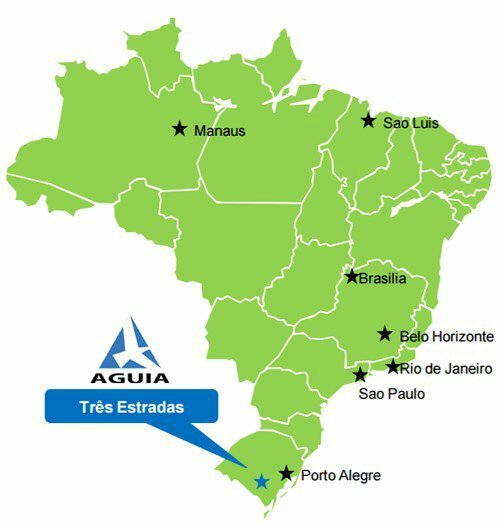 AGR’s 74.7Mt JORC compliant phosphate resource at its Tres Estradas project is located in southern Brazil, in the state of Rio Grande do Sul, where supply constraints are even tighter – there is simply no phosphate resources anywhere in the region. With a lack of phosphate in the ground, the door has been left open for AGR to supply the local market at a cheaper price. In essence, this company will be able to displace imports and have a cost advantage in doing so because fertilizer companies will no longer need to ship from Africa. Being able to supply the product to fertilizer blenders within 400km of the project offers significant cost advantages with quality transportation infrastructure already in place and agricultural companies within 250km who may seek off-take agreements to guarantee supply. Based on the early prefeasibility study, the proposed mine life at AGR’s Tres Estradas is set for 14 years and the resource can be mined with a simple open cut designed mine. The mine life is likely to increase as the resource expands and the engineering plan is refined. The project itself has a net present value of US$400M, a projected EBITDA of $150M, with a CAPEX of only $118M. In other words, the financials on paper look solid. AGR’s has recently received coverage from a number of equity research analysts. Of course, this doesn’t not necessarily mean the price target will eventuate – it is based on a number of assumptions, so caution must be applied if considering an investment. Once again, analysts don’t have crystal balls, and a lot can happen with small cap mining stocks – so don’t assume this price target is guaranteed to come to fruition. Will AGR be the only regional supplier of phosphate in a state relying 100% on imports? Surprisingly the state of Rio Grande do Sul, a primary farming area, is currently 100% dependent on phosphate imports. AGR is hoping to reverse the trend by gaining a supply monopoly in the region. With high taxes and fees between Brazilian states, it’s actually cheaper in many instances to import phosphate from overseas than transport it from a neighbouring state. Brazil is already the world’s second largest food exporter after the US, and with the world’s largest amount of unused arable land, plus the largest renewable water supply, it is looking to continue its dominance in global food output. 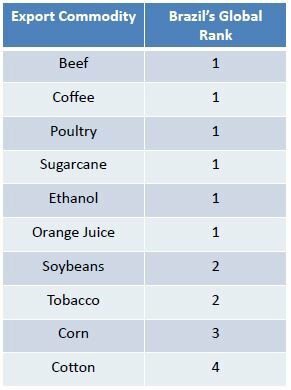 Ongoing expansion in the region will place demands for more phosphate to be supplied as highly profitable crops such as beef, coffee, sugarcane, citrus, soybeans and corn continue to flourish in the region. At present Brazil is the 3 rd largest consumer of fertilizer in the world, however only accounts for 4% of global fertilizer production, which brings us to the role AGR could play in ‘feeding the world’. AGR’s Tres Estradas project may offer a substantial long-term investment return, with a pre-feasibility study identifying at least 14 years of mine life, with significant expansion potential. However like all mines, getting this one up and running won’t be easy, and AGR is some time away from first cash flows. If considering AGR for your portfolio, seek professional financial advice. 9Mt Inferred @ 3.97% P 2 O 5 . Due to the nature of AGR’s deposit, low cost mining methods will likely be employed including an open cut pit with a low strip ratio. Initial mining by AGR is set to focus on the easily accessible high grade oxide at surface in order to maximize revenues to shorten the payback period. Phosphate mineralisation can be seen at the surface on the Tres Estradas project which is situated on rolling farm hills. The soil in the south of Brazil is incredibly nutrient deficient, requiring fertilization during its two growing cycles per annum. Hence phosphate is a necessity that is currently being met 100% through imported product that is well above spot price. By planning to have all of its output consumed within 400km of its project, AGR will be able to focus on its core operations: extracting phosphate from its Tres Estradas deposit, whilst also coming in US$50-70/t cheaper than current imports. Thanks to the quality infrastructure already in place, including a railway through the property, and a global port at Rio Grande, which further reduces operating expenditure, AGR has the opportunity to supply its output product to the state and beyond with ease. It is worth reiterating that there is a rail line literally running through AGR’s Tres Estradas project – see the photo above – making transportation to the port facility simple and affordable. The shipping port is also one of the largest in the country and is where major international fertilizer companies have their blending facilities. Suffice to say AGR may not only have the ground, but the position as well. Brazil is the world’s largest available arable land holder, with the local agriculture industry representing 20% of GDP. Fertilizer giants such as TIMAC and Yara are in the area producing single superphosphate and other advanced fertilisation methods. As a result of being potentially the only local feed supplier, the cost advantages can be passed on and may see the big fertilizer blender companies seek offtake deals in order to secure supply from AGR. As food demand continues to soar around the globe, the need for the vital ingredients necessary for producing quality crops will rise as well. This makes now a potentially opportune time to have investment exposure in the agricultural market, such as that provided by AGR. Supplying phosphate to the agriculture market is AGR’s intended primary revenue stream, however is not the only one. Offering further upside potential for AGR is the sale of its premium quality calcite by-product. A recent metallurgical study found that the high quality calcite is of commercial quality, with concentrate grades at 48.55% CaO with a recovery rate of 83.1%. The process was developed by Eriez Flotation Division who are considered world experts in column flotation. Not only does this open the potential for the sale of calcite to create an additional revenue stream for AGR, but it also reduces the amount of tailings from the project, improving environmental factors. Due to the high-quality of the calcite at the project, its primary use will be field application by farmers to reduce soil acidity and it also meets the specifications of the cement industry, the animal nutrition market and for use in thermoelectric plants to neutralize sulphur emissions. 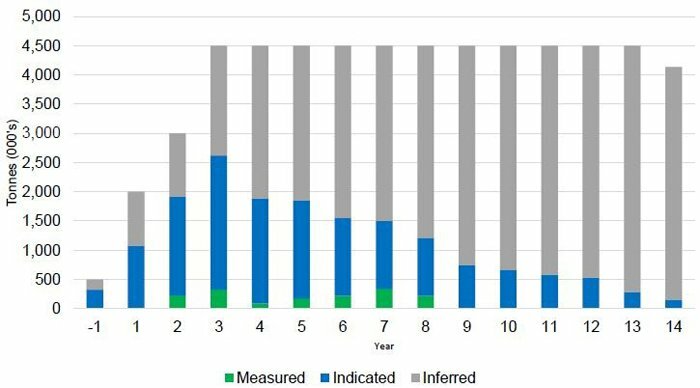 This further adds to the attractiveness of the project from a cash flow perspective, whilst significantly lowering operational cost risks. The economics of the project on paper are strong, and with the right funding and backing will allow AGR to evolve into a high margin phosphate miner. The team at AGR is well versed in navigating the capital raising requirements that are necessary to get profitable mines off the ground, and early studies into the project economics should be enticing for major backers. Operational expenditure is USD $98/tonne of phosphate concentrate or US$65/tonne pro rated on phosphate/calcite basis. Keep in mind the market cap of AGR today is around just $34M, and further value in AGR would likely be unlocked as the project progresses. Given regional demand for phosphate, potential to secure early offtake partners and debt funding, plus the management experience of AGR, it is expected the company should be able to secure the necessary CAPEX funding of US$118M. However, at the same time, as with all mining projects, this funding is no guarantee to come in, and investors should invest with caution and consider their own personal risk profile before choosing to invest. As we highlighted earlier, In terms of margins, by supplying to the local industry AGR sustains a logistics cost advantage of US$50-70/t compared to the current imports. AGR has relatively easy access to capital with close ties to large capital funds. The largest shareholder of AGR, with a 19% holding, is Sulliden Mining Capital, headed up by AGR’s Managing Director Justin Reid. So you can expect that Justin has a vested interest in returning value to shareholders over the long-term. M&G, the world’s largest mining fund holds 6.6% in AGR, and AGF 3%. These institutional investors are very committed to AGR as they see the future potential in not only agriculture but in AGR itself. The Environmental Impact Assessment is expected to be submitted to the regional government of Brazil, after which it will take an estimated 6-8 months for the environmental permitting to be approved and finalised. Once permits are received, AGR will be granted a preliminary license and advance the project to the construction phase. The completion of the EIA and the approval of the Preliminary License are major milestones for a mining company in Brazil and represent substantial steps in de-risking the project. Commencement of a bankable feasibility study is set to take place this quarter. 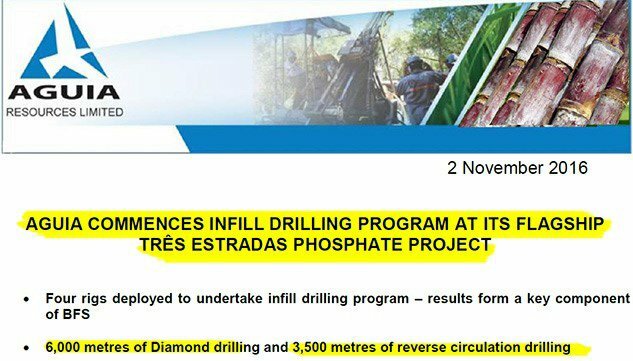 A new drilling program at Tres Estradas is set to commence in the coming weeks with the aim to convert inferred resources into indicated. Being able to come in US$50-70/t cheaper than current imports offers significant potential to secure off-take partners whilst also locking in revenues at an agreed price. We will be looking out for material announcements on this front over the coming months, as they could represent significant share price catalysts. 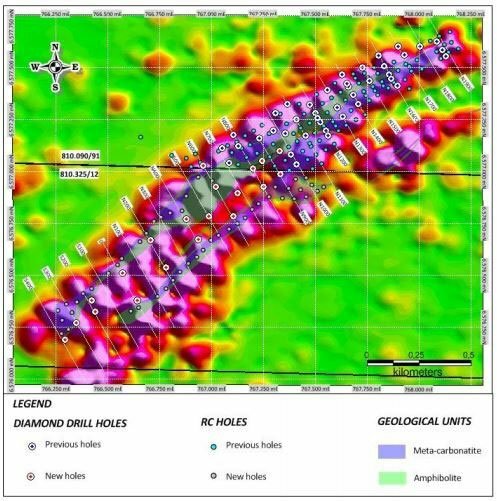 In addition to the Tres Estradas project, the tightly held AGR has been optioning surrounding claims adjacent to the main project that will see basic preliminary exploration works conducted, offering additional upside, along with the sale of its calcite by-product. We’ll soon see if the grass is greener in Rio Grande do Sul, and with the help of AGR’s phosphate, it could well be sooner rather than later.